This is a moving experiment! 1. Tear or pintch off the top bit of tissue paper from the straw. 2. Whilst holding on end of the straw and paper, slowly push the tissue paper wrapper down the straw so that is forms crinkles (wrinkles). Try to keep the crinkles nice and tight. 3. 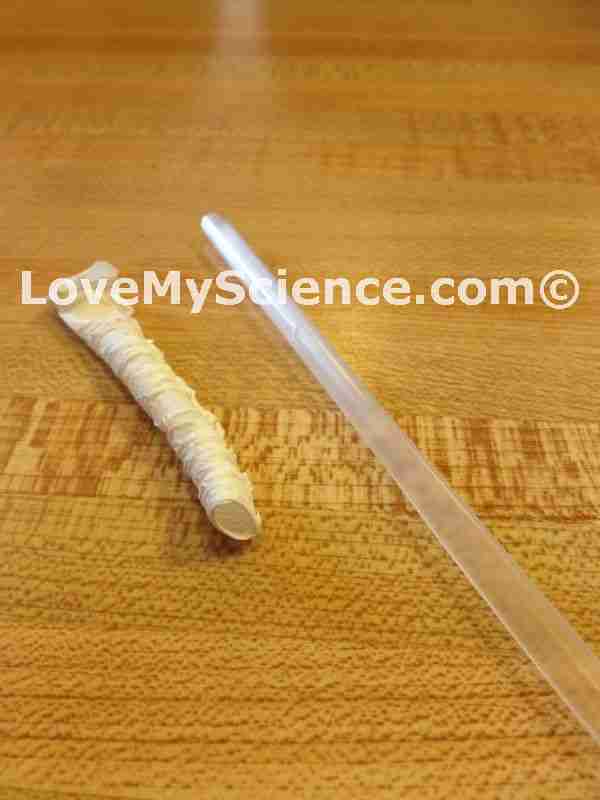 Carefully remove the crinkled paper wrapper from the straw and lay it on the table. 4. Dip your straw in the glass of water, placing your thumb at the top of the straw to trap a bit of the water. 5. Release a drop of water from the straw onto the straw wrapper and watch what happens.